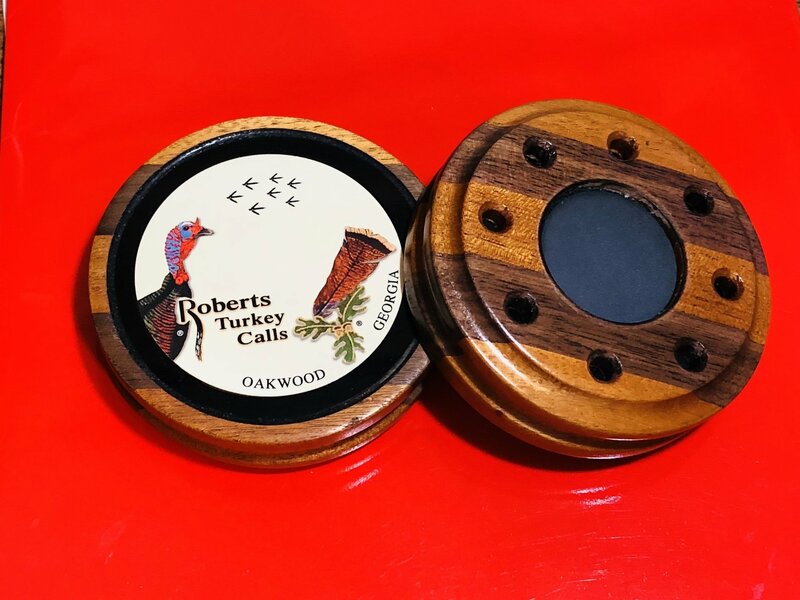 Roberts Turkey Call Strikers are individually handcrafted by master woodworker. 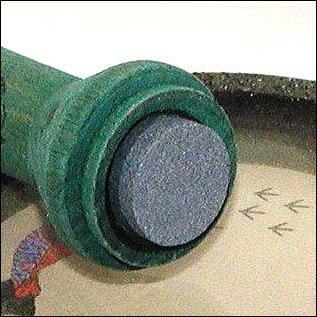 ensure consistent tone. 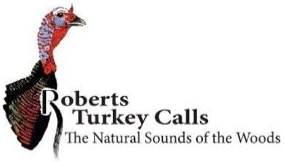 "Third generation cabinet maker and fulltime turkey hunter,"
Roberts produce strikers truly creating "the natural sounds of the woods." 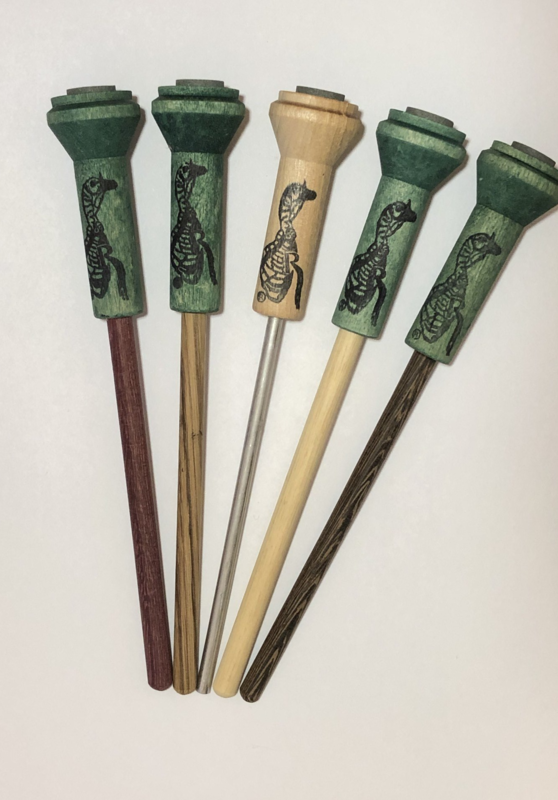 approaching. 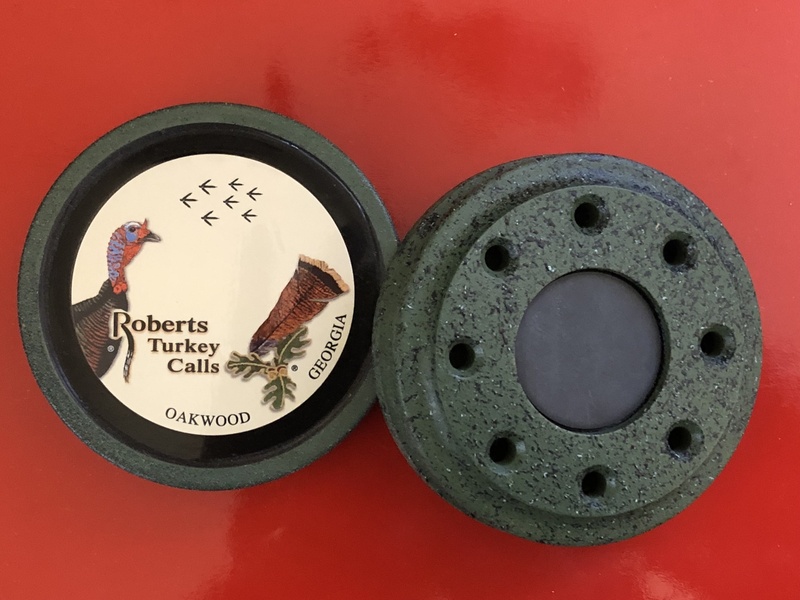 Works perfectly on glass side of any Roberts Turkey Call. 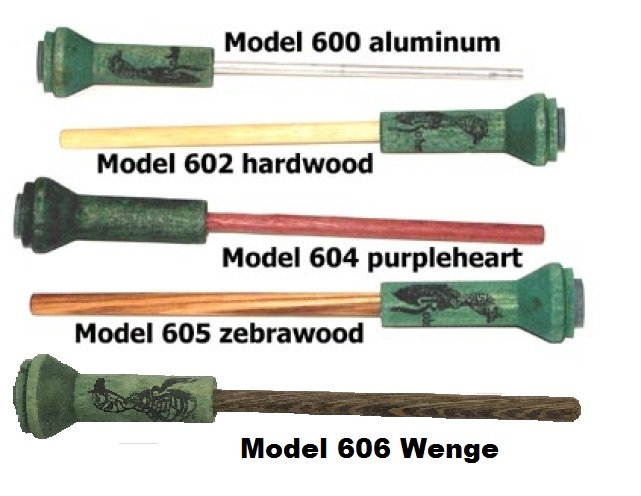 KITS COME WITH HARDWOOD STRIKER ONLY. 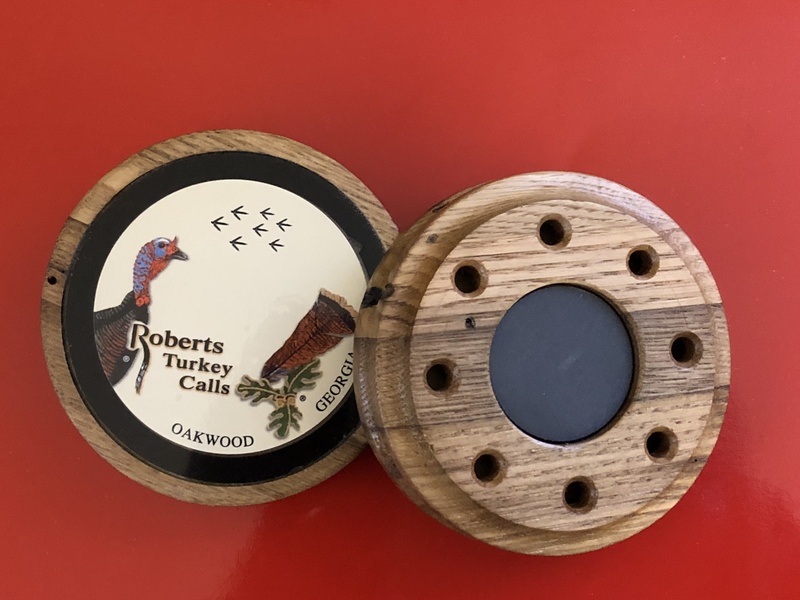 Each call comes with a hardwood striker with a stone conditioner on top.You can also order extras or replacements as needed. 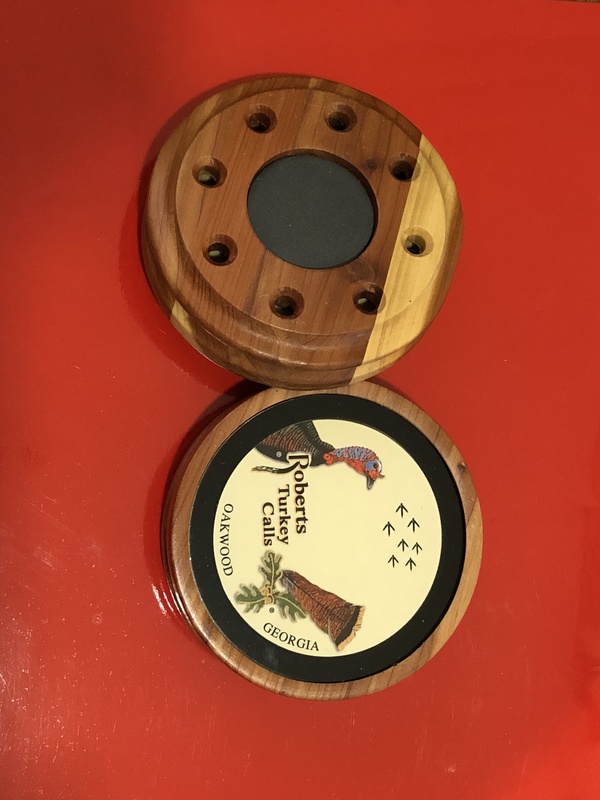 And... be sure to add a couple of "secret weapons" to your vest! 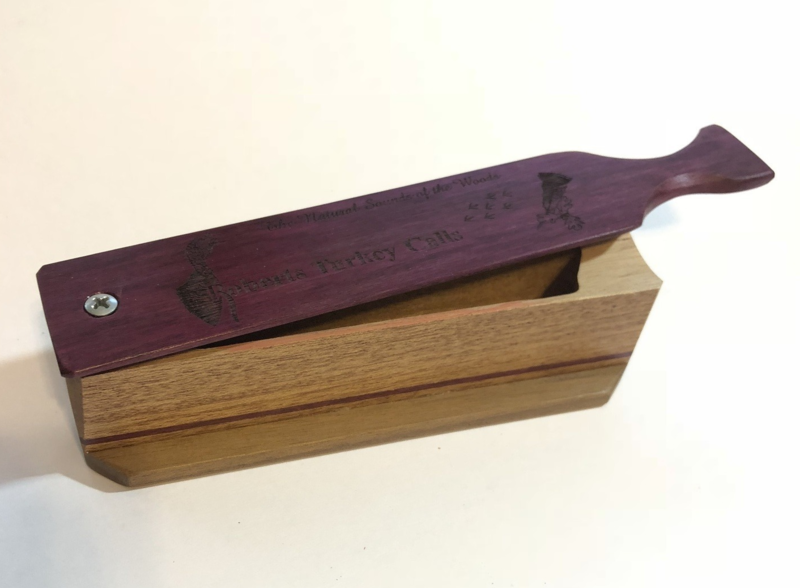 Our beautifully-crafted Purple Heart and Zebra Wood strikers are more than exotic wood. 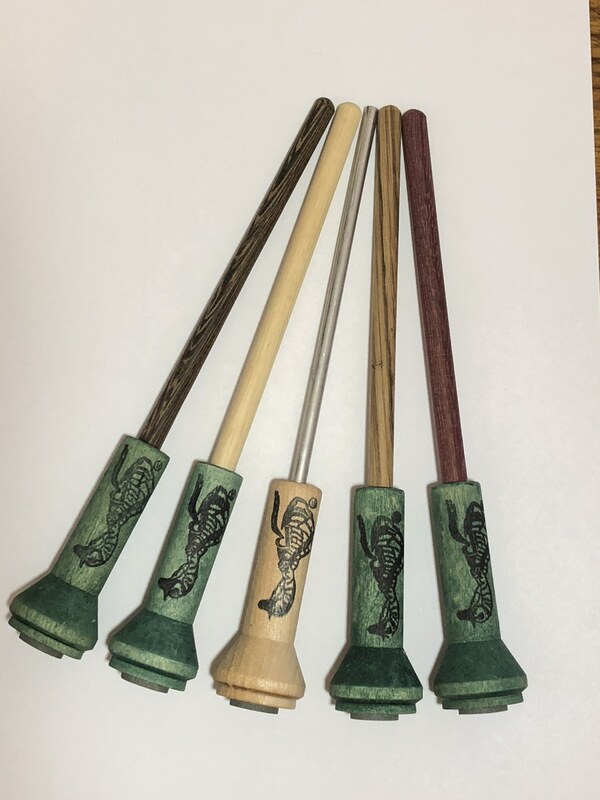 We also have a new Wenge striker.They're just what you need to subtly change up the sound and finish off that smart old gobbler!